Dr. Jason Westrich is a postdoctoral researcher working under the direction of Mandy Joye at the University of Georgia. 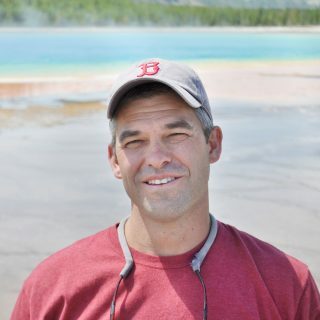 Jason has been working in aquatic microbial ecology for the past decade investigating microbial structure and function in both marine and freshwater environments. Jason did his PhD at the Odum School of Ecology examining the role of trace metal nutrient pulses on marine bacterial populations. Most of his previous marine work has been from dive boats in the Caribbean, where he studied microbial population dynamics in near-shore coral reef environments. This will be Westrich’s first deep-sea research cruise. Of particular interest for Jason on this cruise are Beggiatoa bacterial mats and viral dynamics in the deep sea. This will also be his first attempt at using MinIon (a portable sequencing device that plug into a lap top USB) for examining microbial populations.